So this is just a lil' thread where I'll be putting up images and quick renders of my 3D models. I'm actually planning to put most of these into a huge mod for Civ 5 (World map, Civilisations, Units, the works), and some outfit mods for Skyrim. 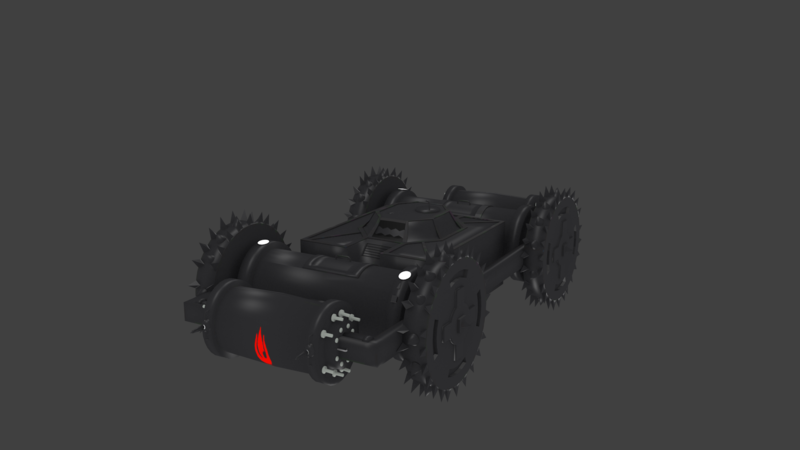 Right off the bat is the infamous Fire Nation Tundra Tank, in showroom model level shininess!